he present technology derives from the design and testing of multiple device concepts carried out over a period of 5 years in Antigua. 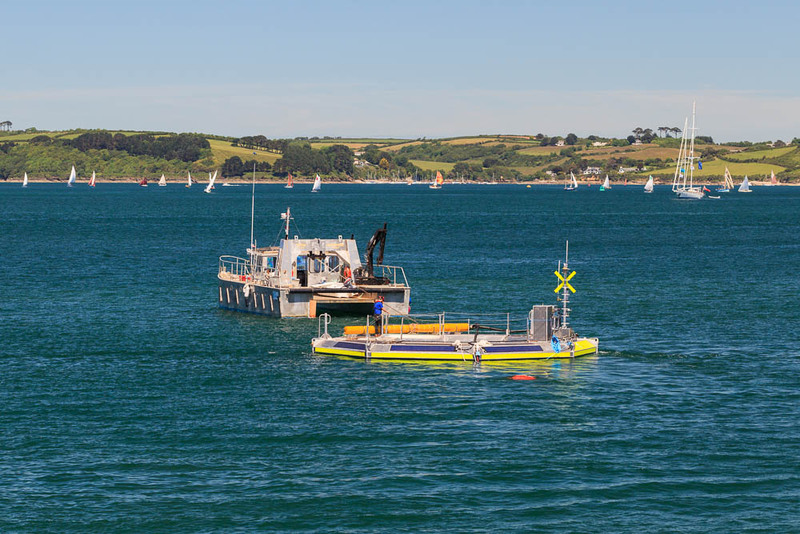 All of these designs were based on a taut mooring, buoy actuated principle and all were designed to be modular and capable of mass production. 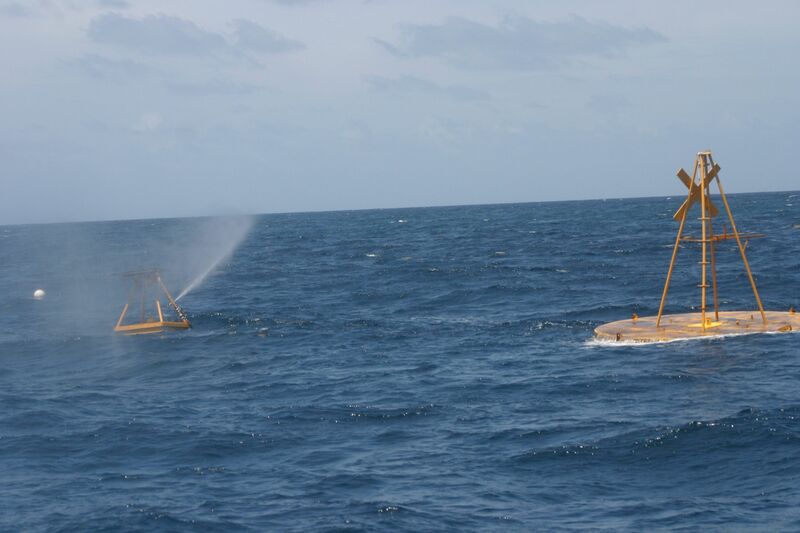 The design for the power take off system has been tested at sea at the Antigua test site for a period of 2 years. Over this period approximately 3000 hours of testing has been completed on the various developmental prototypes. The ease of deployment and predictable wave climate of Antigua has allowed rapid progression of the concepts and swift learning through trial and error, whilst also allowing for far greater cumulative hours of operation that could reasonable be achieved in tank testing of similar devices. Device performance has been monitored by hydraulic flow and pressure, wave height and position measurements transmitted by telemetry ashore. During these tests a number of design iterations have taken place. Seatricity’s purpose built maintenance vessel the Ocean Enterprise tending to a WEC buoy which has a crew member aboard. 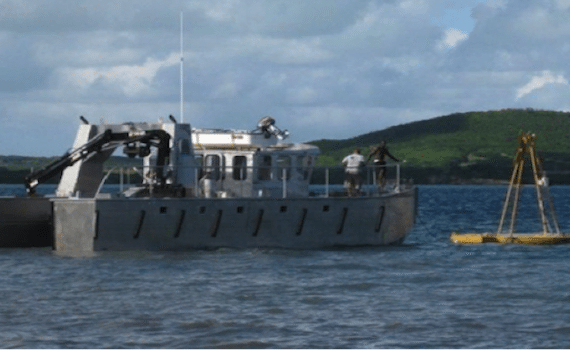 In order to facilitate the development and testing programme in Antigua the company took the step of investing in a vessel that has been built to workboat class and has also been deployed to work at EMEC. The foreground structure shows the actuating float of a device. The smaller buoy in the background is for data collection, it will not form part of future installations. The plume of spray is the high pressure seawater being pumped by the main device and in this case dumped back into the sea.